Much of the extreme human innovation that we see today, first happens in theaters! In the original Terminator movie released in 1984, humans led by heroic Sarah Connor have to battle a cyborg assassin, played by Arnold Schwarzenegger, who arrives from the future into their present. 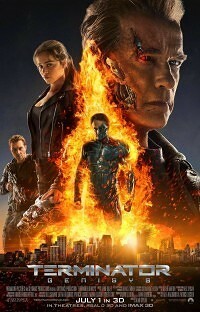 In the new movie franchise reboot, Terminator Genisys, being released July 1, actor Schwarzenegger, the former Governor of California (who has previously praised Athgo’s innovative educational efforts), is “back” as the cyborg. But now he’s helping Sarah Connor to battle a new, more fearsome human-cyborg hybrid. Human-cyborgs? As, some scientists suggest by 2045, that Earth’s top species will no longer be humans, but machines. Don’t laugh. In some ways, humans are already becoming part machine as our faulty parts are being replaced with artificial bionic implants — hearts, limbs, eyes. 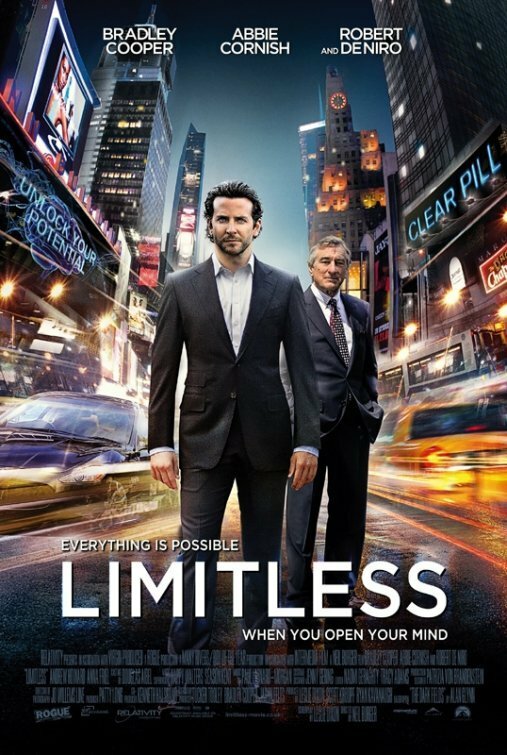 I think back to that other thought-provoking movie, Limitless, starring Bradley Cooper who uses a “pill” that enables him to access 100% of his brain’s abilities. Although, perhaps scientifically unsound today, the potential of accessing ALL information that we have ever come in contact with is pretty exceptional. In Limitless, Cooper’s character becomes a “superhuman.” In fact, futurists like Ray Kurzweil, Google’s director of engineering, believe we’re at the beginning stages of a revolution that will prove to be one of the most transformative eras in human history, and our bodies will be the beneficiary of most of the innovations. Professor Stephen Hawking whose Intel system, that helps him speak to compensate for having Lou Gehrig’s disease, already uses a great deal of Artificial Intelligence (AI). But he cautions that our “AI systems must do what we want them to do.” Similarly, Elon Musk, the CEO of Tesla and SpaceX, says AI may be humanity’s “biggest existential threat” and calls for more regulatory oversight. Personally, I don’t think AI is going to overtake us. I believe we’re going to stay ahead of the game. Why? Most of the tools we’re creating in this area are designed to help us become stronger, faster, smarter, and more efficient. They’re created to expand us beyond our normal physical and mental capabilities. And our under-utilized brain is the key. President Obama has recently allocated $3 billion towards mapping the human brain, and The White House is not the only entity doing this. And, not far off, we’re going to experience what Bradley Cooper’s character did in Limitless. Every time he takes this pill — prototypes are already going through clinical trials today — his brain is able to recall all the information that’s he’s taken in over the years, and he becomes a phenomenally smart, sharp human…essentially a superhuman. That’s where humanity is heading toward, we’re spending time and money to see how we can essentially take our brain into overdrive, to capacities not seen or understood by typical humans. Already, in real situations, when our life might be threatened, we can scale six-feet fences, or lift a car to save a loved one — when, in normal circumstances, it’s impossible. Our brain has this immense power to shut down everything else going on in the system and focus all of its components to make that “leap of faith” to survive. Remember in The Matrix when Neo asks Trinity “Can you fly that thing (helicopter), and she replies, “Not yet,” then phones asking for a “pilot program” which is instantaneously uploaded to her brain so she can fly that thing. We’re not too far off from that, just by uploading information directly to our brains from the Cloud. We have superhuman powers within our own systems, and I suggest, “So much for robots taking over!” We’re going to continue controlling our robots. We’re going to turn into superhumans, not cyborgs. So, if we need to run faster, grow a particular muscle, heal ourselves or even regenerate limbs like some animals already do in Nature, then we’ll just do it. We have this fascination, wanting to become a super person of sorts. We are on that path. Our generation may see some of it, but our children will absolutely witness it, as they start acquiring “super” abilities themselves. Well said, and I can’t believe you got a brain freeze…you too, Armen?! 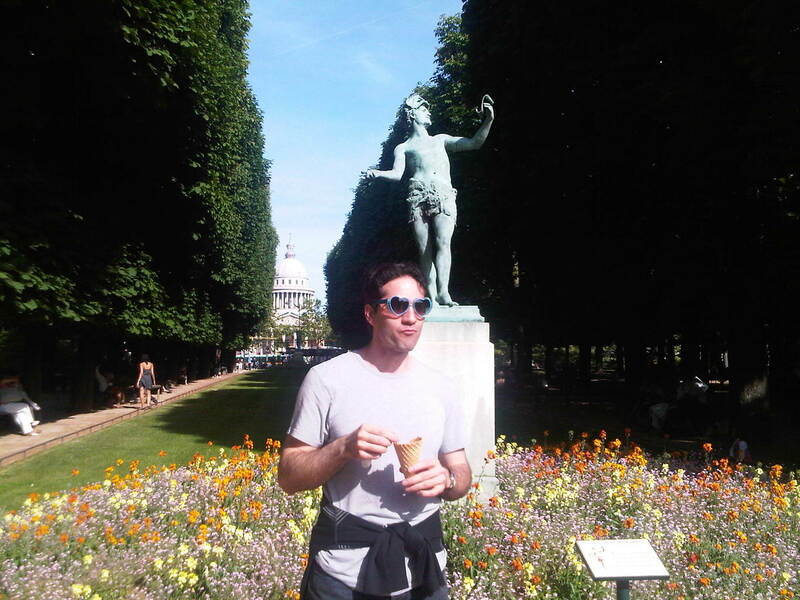 Great photo and excellent Blog!! hOur company offers herbal pills. Take a look at our health contributing site in case you want to look healthier. Our company offers a wide variety of non prescription products. Visit our health portal in case you want to to feel healthier with a help health products. Our site offers a wide variety of non prescription drugs. Look at our health website in case you want to look healthier with a help generic supplements. Our company offers a wide variety of non prescription products. Take a look at our health website in case you want to strengthen your health with a help general health products. Our site offers a wide variety of non prescription drugs. Look at our health website in case you want to to feel healthier. Our company offers a wide variety of non prescription drugs. Take a look at our health site in case you want to look better with a help generic supplements. Our company offers a wide variety of non prescription products. Visit our health site in case you want to to feel healthier with a help generic supplements. Our company provides a wide variety of non prescription products. Visit our health website in case you want to strengthen your health with a help of generic supplements. Our company offers a wide variety of pills. Visit our health contributing website in case you want to look healthier. Our company provides health and related products. Look at our health contributing portal in case you want to improve your health. Our company provides a wide variety of non prescription products. Visit our health site in case you want to strengthen your health with a help of generic supplements.